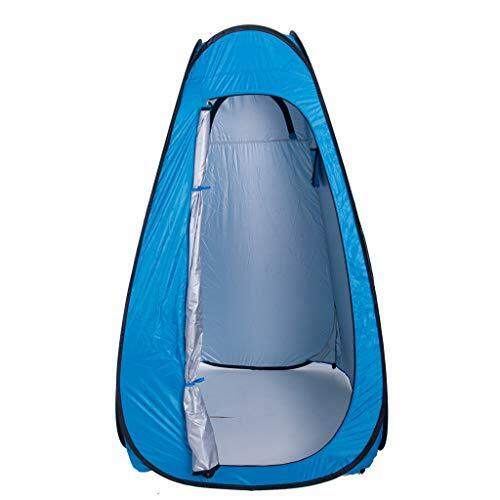 For use as a shower, a community loo, or a changing room at the beach, the Finether Pop Up Shower Tent is a great addition when camping with an extended group of family and friends. This privacy shelter creates an ideal out-of-sight space for a camp toilet, changing clothes, or showering off after a long hike. Do not expose the tent to the blazing sun for a long time. It is not recommended to use this tent in rainy days.